Vector art plays an integral role in graphics designing projects. 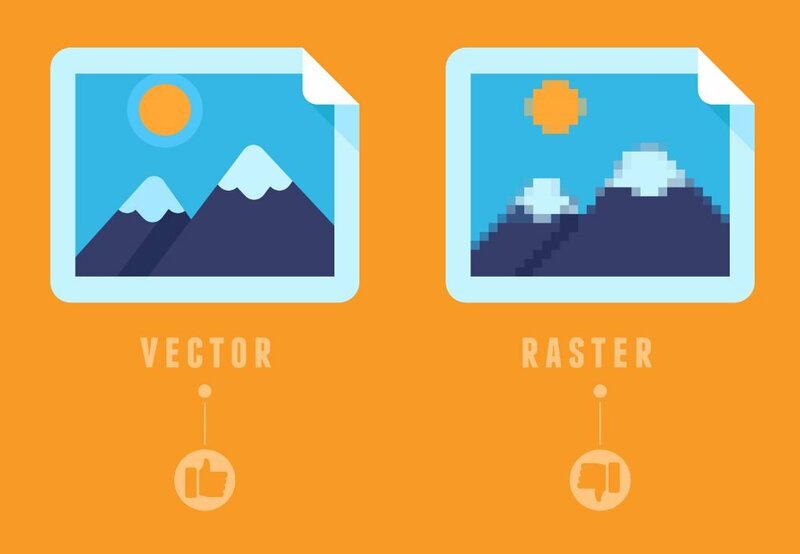 When compared to raster images, vector graphics offers a wide range of benefits. Vector images are scalable, compact and of high quality in all sizes. We come across vector images on a daily basis. Whether it is a billboard, the internet or a book, you will see different varieties of vector graphics. These images are carefully designed to covey a “simple” message to its audiences. As suggested by its name, vector images (graphics) are based on mathematical computations. Every line in a vector image consists of points that are connected with lines. These lines have a well-defined height, width, proportion, ratio, and curve. Vector images don’t depend on the resolution. They can be rendered in any space. Keep reading to know more about the benefits of vector images in graphic designing. As mentioned previously, image quality is a key selling feature in vector graphics. You can design vector images and enlarge it without any worries, something that differentiates vector images from the bitmap. Usually, bitmap images become jagged when you resize. You cannot enlarge a bitmap image beyond its actual pixel size. When vector graphics are enlarged, the image will remain sharp at all times. None of the parts will appear different. In fact, stretching doesn’t ever make the image pixelated or blurry. “Scalability” is the biggest benefit of using vector drawings. You can scale vector graphics to any size without worrying about quality (as we saw in benefit #1). A single drawing can be used on billboards or printed on a piece of paper. This ability to be any size is why companies are advised to use vector designs for designs such as logos, which are used in many ways. At all times, designers want their drawings to be scalable so that you can use it freely in a variety of mediums. This will increase the usability of your image. However, there are few limitations. If the vector image is shrunk too much, the fine lines and minute details will not be visible. On the other hand, super enlarged images will make tiny mistakes prominent. Vector drawings are easy to have created and can be saved in numerous outputs. The company you hire will use tools like Corel Draw, Adobe Illustrator, and Macromedia Freehand to turn your logo or other design into a vector image. This process is known as vectorizing. Of course, you could always learn to do it yourself, but consider that it will take time to learn new software… time you might prefer to spend elsewhere in your business. 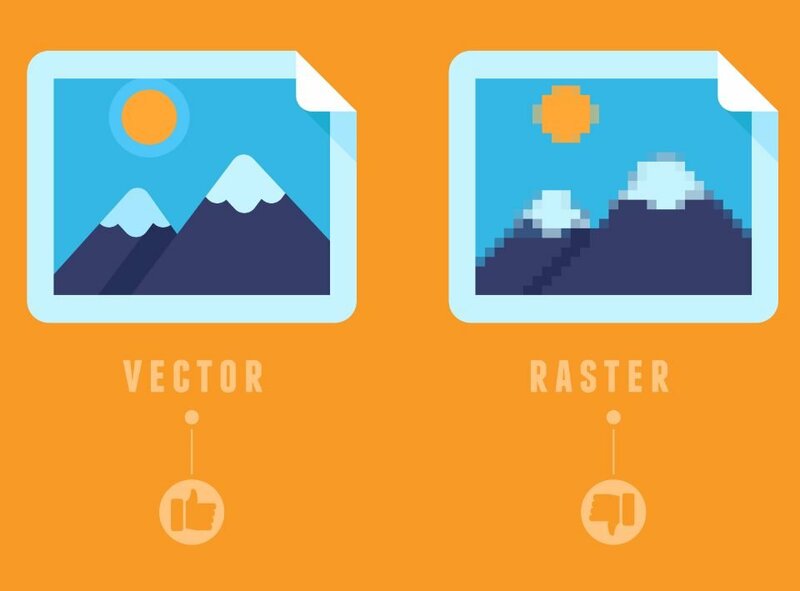 Unlike many other image formats, it’s possible to change vector graphic. You don’t need to redraw the entire image before editing. You can choose specific areas to be edited, which will save you lots of time. You can edit various parameters like fill, outline, and color. Another interesting benefit in vector drawings would be smaller file size. Files with smaller size can be transferred across the web. These images load at a faster speed. This means potential clients will be able to see the entire image on your website in few seconds. If you want the image to appear small, you can resize it using tools like Photoshop. Do you need a logo or other artwork vectorized? Send it to us for a quote.